Spring is approaching and, for gardeners, this means a fresh start to another growing season. Many horticulturists choose to start seeds indoors or in a greenhouse in order to have plants ready to grow in the upcoming season. There are a few considerations every horticulturist should make before starting his or her seeds. Following a few simple guidelines will help make the seed starting experience both enjoyable and effective. A good rule of thumb for starting seeds is to begin the germination process 6-8 weeks before your zone’s average last frost date. It is also important to consider the particular plant varieties being grown. For example, many ornamental flowers can be started earlier, around 8-10 weeks before the average last frost date. 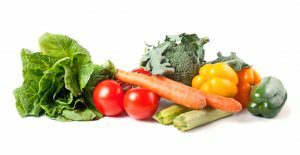 Cold sensitive plants, which require warmer temperatures to grow properly, such as tomatoes, basil, and peppers, should be started a little later, around 6-8 weeks before the average last frost date. It is very important to make or buy a seed starting medium that is specific for starting seeds. Regular potting soil is too heavy and potent for most seeds. Plug trays or peat pellets are great for starting seeds, but will require transplanting after the seedling has developed its second set of true leaves. I personally prefer using small plastic cups with small holes poked in the bottom for drainage. These small cups are big enough for the plant to establish a heathy root structure and can usually be used until the plant is placed outdoors or into its finishing planting container. Filling a tray with medium and planting multiple seeds should be avoided, if possible. Not only does this create a less than desirable root structure, it also makes it difficult to separate the seedlings without damaging them. Some seeds are very small and are extremely difficult to plant individually. One technique is to use the eraser end of a pencil to pick up and gently bury the seed into the medium. 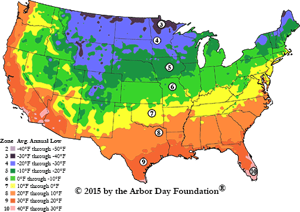 Proper temperature and humidity are necessary for healthy seedling development. A heat mat is a great way to supply heat to the seedling bed, which helps initiate the germination process. Not only do heat mats provide the warmth necessary for germination, they also help keep the temperature more consistent around the seedlings. 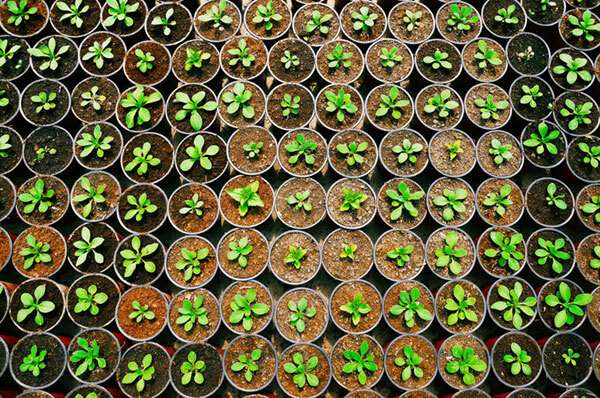 All plants, especially seedlings, thrive on consistency. Although not completely necessary, many gardeners like to use a humidity dome on their seedling trays. Generally speaking, seedlings prefer a higher humidity than the ambient air. Humidity domes are an inexpensive and simple way to maintain higher humidity for the seedlings. Humidity domes, like heat mats, will also help maintain consistent atmospheric conditions. 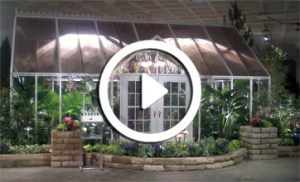 Click here for Greenhouse Growing Supplies. If indoors, seedlings should be placed as close to a window as possible. If in a greenhouse, try to position the seedlings in an area that receives the most light. Many growers use an artificial light source for starting seeds indoors or in a greenhouse. If you have ever experienced leggy, stretched stems on seedlings, you have seen the results of inadequate lighting. An artificial light source above the seedlings will keep them compact and healthy. There are many different artificial light sources that can be used for seedlings, but T5 fluorescents are highly effective and relatively inexpensive. A light for starting seeds is a valuable tool and is well worth the investment. Click here for Grow Lights. Starting seeds in a greenhouse or indoors is a fun and easy way to get a head start on the growing season. Hobbyists who start their seeds at the right time, while also supplying the proper medium, atmospheric conditions, and lighting will not only have higher germination success, but will also have many healthy seedlings ready to take on the upcoming growing season.